Home Avengers Filem antarabangsa Filem superhero Marvel Cinematic Universe Marvel Studios MCU SembangFilem Sah, Masa Tayangan Filem Avengers: Endgame Mencecah 3 Jam! 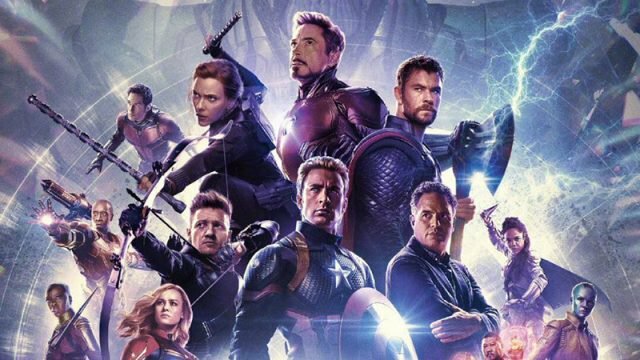 Sah, Masa Tayangan Filem Avengers: Endgame Mencecah 3 Jam! Russo turut memberikan gambaran perkembangan terbaru filem Avengers: Endgame yang di peringkat akhir pos-produksi sebelum ditayangkan di pawagam beberapa minggu sahaja lagi. “We are in the very final maybe week and a half, two weeks at most. We are in the finishing stages. We just completed the score for the film. We’re still in the process of doing the full sound mix for the movie. We’re still finishing many visual effects shots. We’re still color timing the film. We are making little picture tweaks here and there, but for the most part, we’re done changing picture. That’s where we’re at".